Take advantage of a range of services and solutions designed to help you succeed in your quest for physical and mental well being. 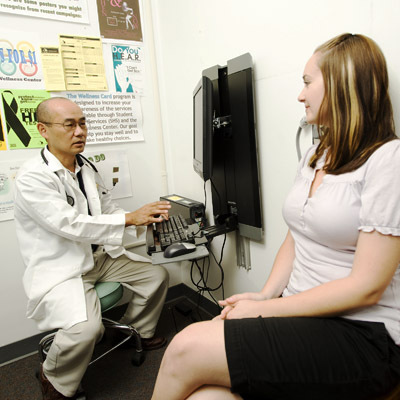 Student Health Services (SHS) located at the top of University Drive is a fully staffed health care facility providing high quality and convenient medical and educational services. Counseling services are provided for short-term individual, couples, and group therapy. Confidential sessions are covered by your pre-paid Student Health Fee and offered to you by licensed and pre-licensed mental health professionals. Learn how to get fit, stay active, and make friends.